Look no further for that Memorial Day weekend signature cocktail. 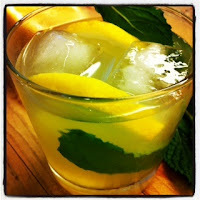 This tequila mint sour is dangerously good and perfect for pitchers and beverage canisters. Add large thin slices of lemons, plenty of mint, and serve over ice. Enjoy!